403 PINE STREET / SOUTH ROXBORO ST. 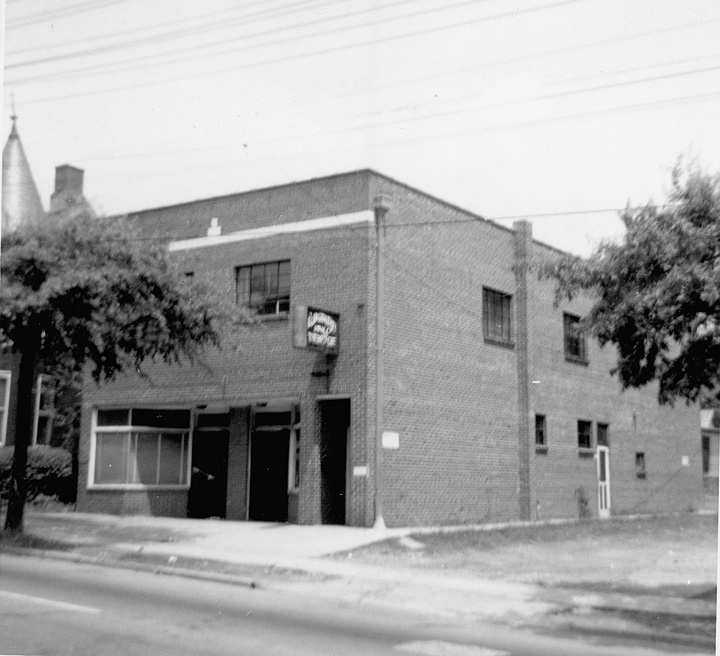 The east side of the 400 block of Pine Street / South Roxboro St. was primarily a residential street, developed in the 1880s, initially as part of a primarily Jewish community of eastern European cigarette-rollers working in the tobacco factories. 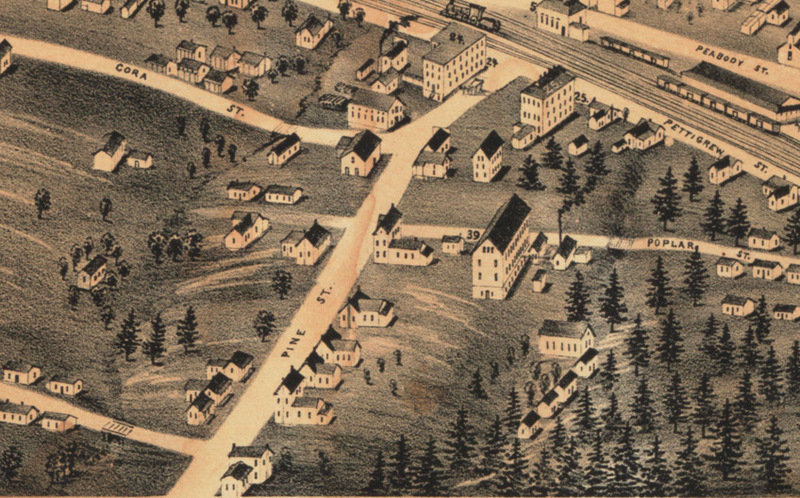 400 block of Pine St., 1891. These houses persisted just a bit longer than the houses on the other side of the street. As the picture below shows, the Elkins Chrysler dealership was under construction while the east side of the street endured. 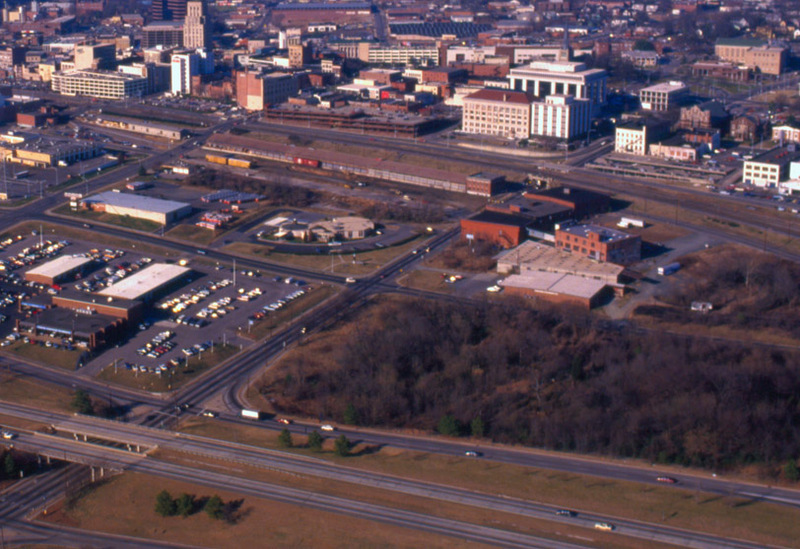 Looking southeast ~1969. The yellow truck is at the intersection of Dillard and S. Mangum Sts. But not for long. These houses were destroyed by urban renewal by 1971. Pitifully, this land and the acres to the east remained vacant into the late 1990s. 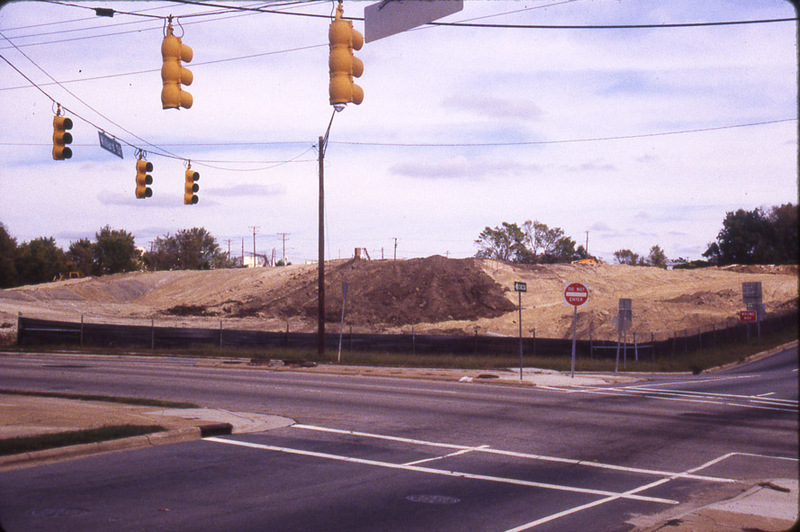 Looking northeast from just north of the freeway and South Roxboro, 1997. 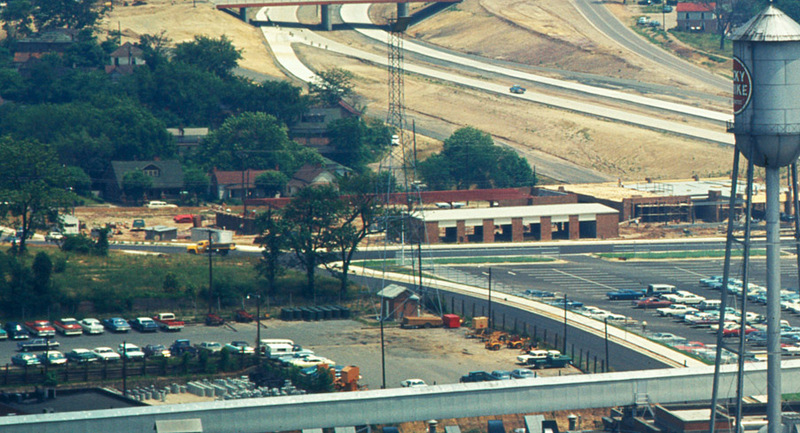 Looking northeast, same vantage point, 1998. I'm not sure if all of these acres were in the city's possession up until that point, but if so, what an opportunity missed - at the beginning of the city's recent resurgence, to relegate so many acres to such a bleak land use. Like University Ford to the west, I hope Rick Hendrick decides to head away from downtown at some point in the not-terribly distant future, since car dealers seem unable to do business without vast quantities of cars - and accompanying vast quantities of surface parking - on hand.